THE 20 MILLION THAT BRINGS IN $400 BILLION! 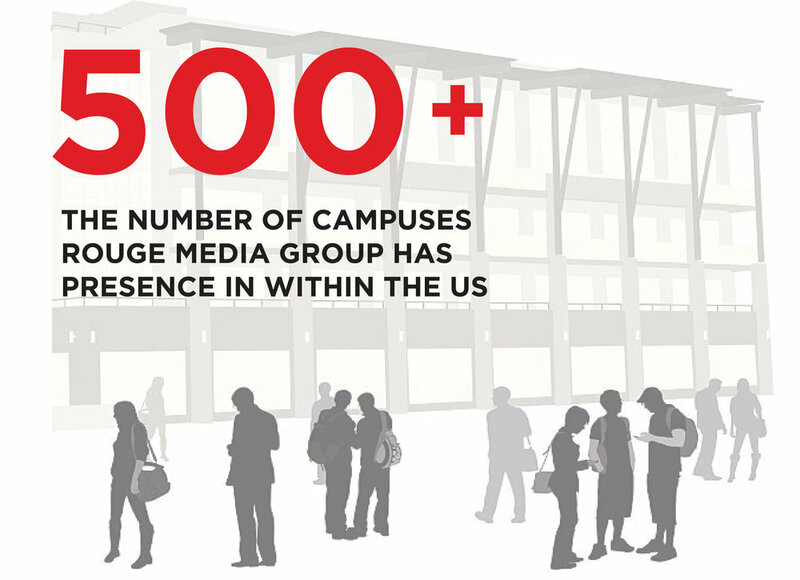 How can your brand engage and attract the massive US student population that has enough spending power? As of today, the U.S. student population totals over 20 million young adults. Who are these students? Why should advertisers care? And how can marketers engage successfully with this group of consumers? Let’s start with the caring part. Marketers should care because of the sheer numbers. A twenty million consumer group is big, over $400 billion in annual spending power big! During this year’s back to school season alone, students will spend more than $70 billion on various goods and services. Furthermore, college students offer a clear market entry opportunity for advertisers. If an advertiser successfully connects with students during their college years, it can translate into a long-term relationship between the brand and the consumer. Under the right circumstances, today’s young adults will become future brand loyal consumers. Just remember how cumbersome it still is to change banks, or to switch wireless providers. It is critical for the long-term success of brands to start a relationship with consumers early. So, who is this American college student that we are talking to? It must be significantly noted that there is no longer a gender skew - the US student population is getting increasingly female. By late 2016, women out-numbered male students, 11.7 million to 8.8 million. Secondly, college enrolments are becoming increasingly diverse: the proportion of Hispanic and African-American student populations increased dramatically between 2000 and 2015. Lastly, the discretionary spending powers of these young adults has been increasing constantly as a larger number of students are working full or part time. Now that we know who and why, the question becomes how can brands engage with these young adults? Media consumption patterns are changing. We are seeing a dramatic decrease in TV viewership amongst college students. In addition, close to 30% of US internet users will use an ad blocker in 2017. With the recently exposed fraught in online media, even digital is facing real and fundamental challenges. 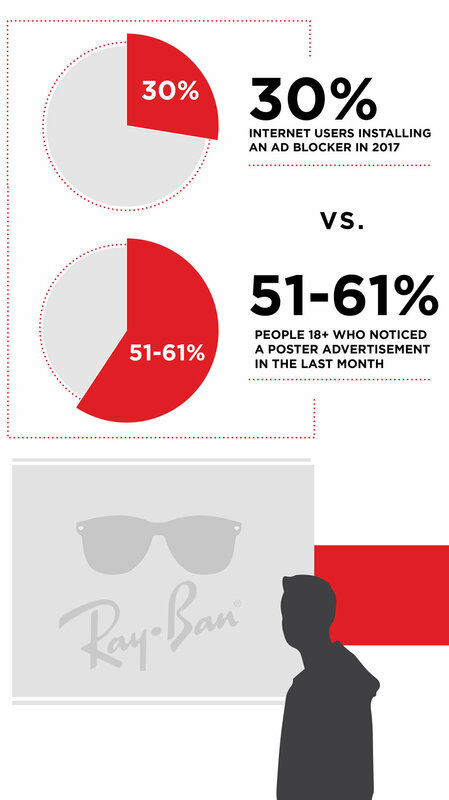 Out-of-home, on the other hand, works increasingly well when trying to connect with young adults: 51% of adults 18+ surveyed noticed a poster advertisement in the past month, the number going up to 61% for people age 18-24. Out-of-home media is unavoidable, it is effective when compared to other media, and it works exceptionally well when targeting young consumers. No wonder at Rouge Media, we are obsessed with out-of-home media. Because of today’s wide plethora of media options available to students, attention spans are limited. Three out of every four millennials multi-task during commercial ad breaks on TV - they text, surf the web, engage on social media, etc. What does this mean for marketers? Very little time to get their point across, or finding alternative ways to communicate with this audience. College campuses are where so many young adults are in one place and spend the most amount of time. In today’s challenging media landscape, these campuses then can provide advertisers a scalable reach and frequency medium, helping brands score points in a contextually relevant setting. For example, despite all the questions surrounding the future of brick and mortar retail, three out of four college students plan to do their back-to-school shopping in-store. Two out of every three students will do their back to school shopping in bookstores located on college campuses this year. Rouge Media enables marketers to engage with these students through a Digital OOH network it operates in over 500 colleges/university bookstores across the US. Our digital capabilities help reach an audience that is increasingly difficult to reach. Our in-store digital media options allow brands to act quickly, so we can place advertisers at the right time and in the right location. 3. On-site Mobile & Social Amplification. Not surprisingly, the younger generation is technologically savvy. For students, this means smartphones. Students and their mobiles are inseparable as they spent more time on it than watching TV, and brands find the need to be present where they are. Not just that, in order to be relevant to this young consumer group, brands also need to stand for something meaningful and give students the option to share the brand experiences. Rouge Media recognizes these dynamics and understands the importance of offering mobile amplification options. By effectively integrating the mobile device to engage with students – in harmony with out-of-home media - the overall place based communications effort becomes more impactful. It also helps extend the campaign’s overall reach and effectiveness. Finally – and not unimportant - it will help provide marketers with valuable campaign insights. Intrigued? Want to know more about how to communicate with young adults at universities? Or with women and men in well-defined, targeted verticals? Rouge Media markets place-based, permission-based media solutions in contextually relevant consumer environments. Let’s talk! © 2017 Rouge Media All Rights Reserved.